The below was forwarded to me and I thought it was neat and would be of interest to everyone. 1. Idaho is more than just potatoes. 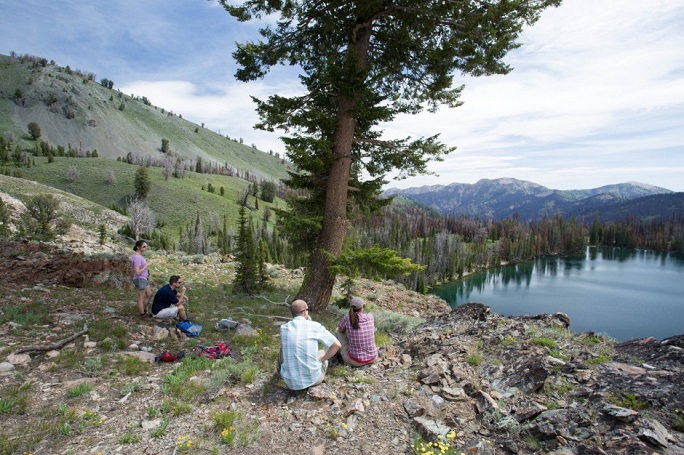 Idaho's combined public lands total 12 million acres, including 2.4 million wilderness acres and 3,100 miles of whitewater river — that's more than any other state in the Lower 48. So yes, potatoes made us famous, but it's our wild landscapes and the fact that any day can include a mix of hiking, biking, rafting, and skiing that makes Idaho so epic. 2. This is not the Midwest. 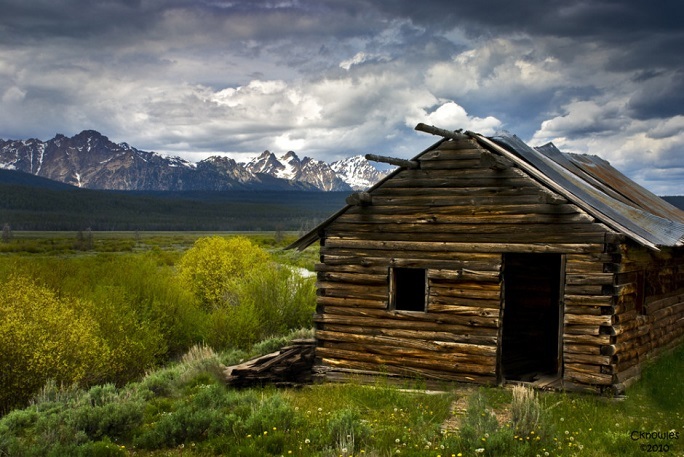 Contrary to popular belief, Idaho is not just flat plains or farmland. 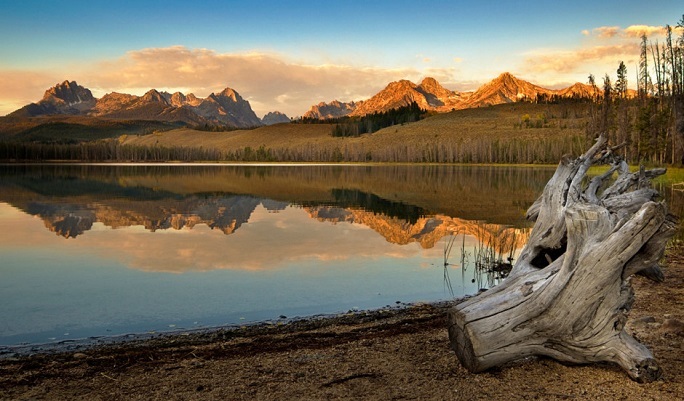 The Sawtooth Mountains alone have more than 40 peaks over 10,000 feet, as well as hundreds of alpine lakes and 700 miles of backcountry trails. 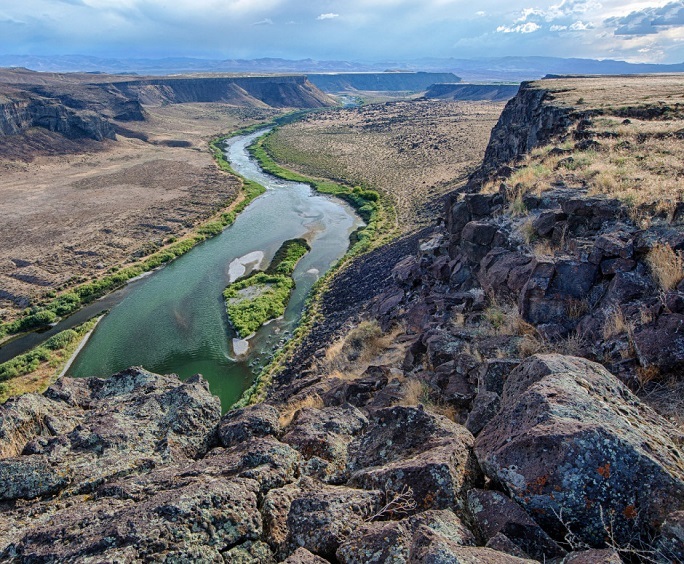 Idaho is also home to North America's tallest single-structure sand dune (Bruneau Dunes, 470 feet) and the deepest river gorge (Hells Canyon, 8,000 feet). 3. Idaho is the birthplace of modern skiing. 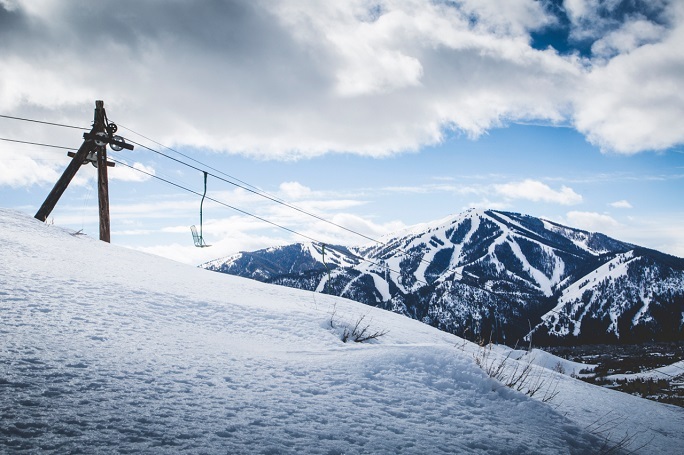 Home to the world's first chair lift, opened in 1936, Sun Valley is where skiing as we know it was born. It's also where the first helicopter skiing outfit in the US got its start. 4. 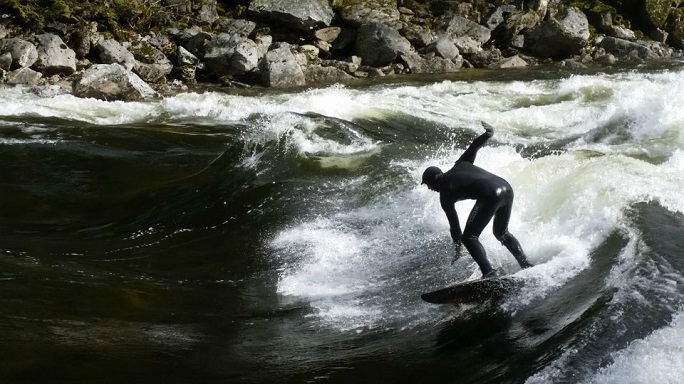 River surfing is a thing. And it's amazing. 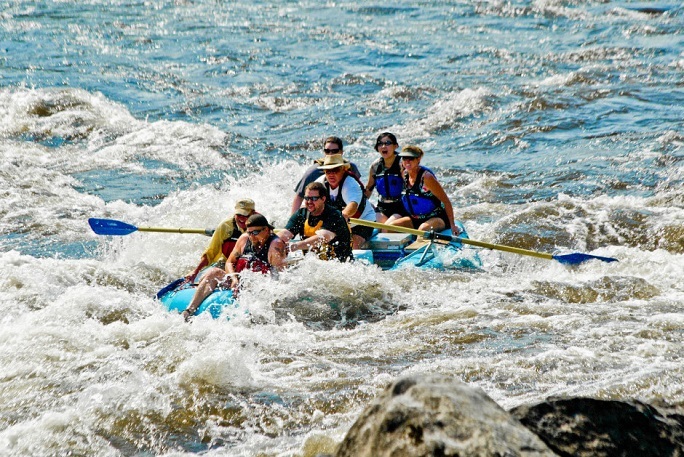 More than 300 miles from the Pacific Ocean, people are surfing on the curling standing waves of the Lochsa, Salmon, and Payette Rivers, and at the Boise River Park. 5. Hot springs are better than hot tubs. After a day of skiing or hiking, nothing beats a good soak. Even better than a hot tub full of chlorine is a dip in one of Idaho's steaming spring-fed pools. 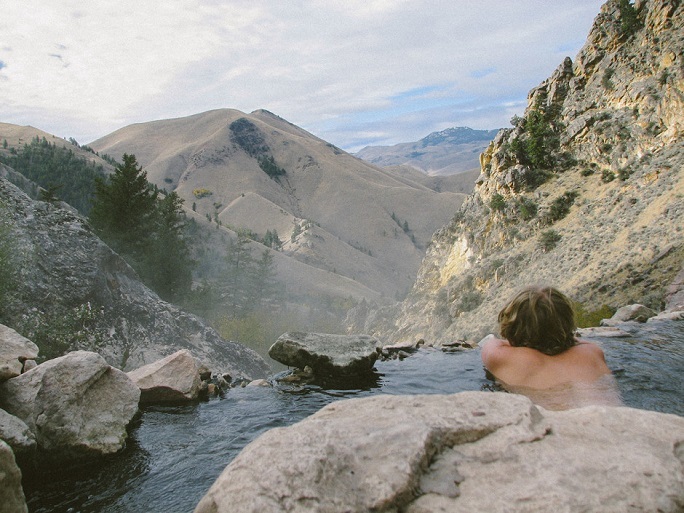 Lava Hot Springs is possibly the best known, but there are dozens of less-developed, under-the-radar pools out in the forest wilderness (this guide can get you started). In fact, there are more ‘soakable' springs here than in any other state — 134 in all. 6. Idahoans aren't all farmers. 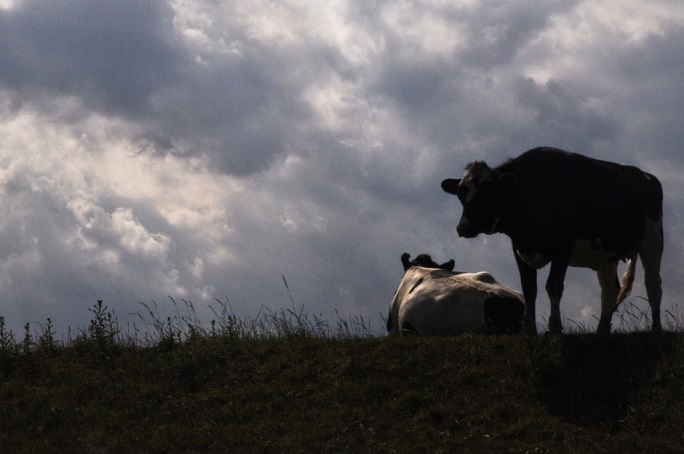 With all of its wilderness area and farmland, most of the state averages fewer than ten people per square mile. But the cities are thriving, and the Boise Valley alone is a growing home to more than 600,000 people. 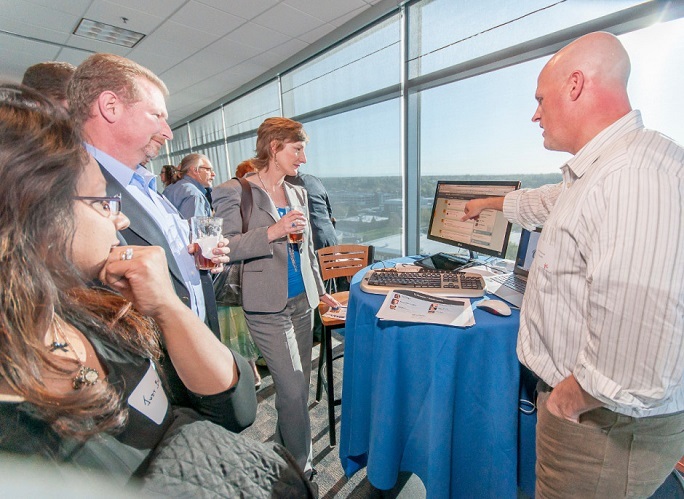 Major tech companies like Micron and Hewlett Packard are set up in the area, so no wonder 70% of Idaho's exports are in the technology sector, not agriculture. 7. The state is vastly different from top to bottom. All mountain lakes and ponderosa pine forests, Idaho's northern panhandle looks like British Columbia. 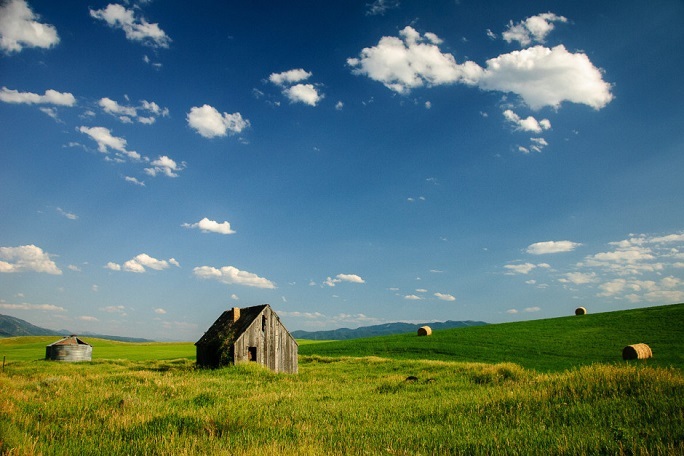 Farther south, the Palouse is entirely different with its rolling grassland hills and fields of wheat. From there, the state's central Rocky Mountains and rivers could be mistaken for wild Alaska. And the southern Great Basin Desert is like Nevada — filled with endless sagebrush steppe where you'll find volcanic caves and black-rock river gorges studded with cottonwoods. 8. You've never seen stars like this. It's not just a few twinkling planets and the Big Dipper. When you're miles from any city, in a valley between 10,000ft peaks, seeing the bright band of the Milky Way is almost a given. 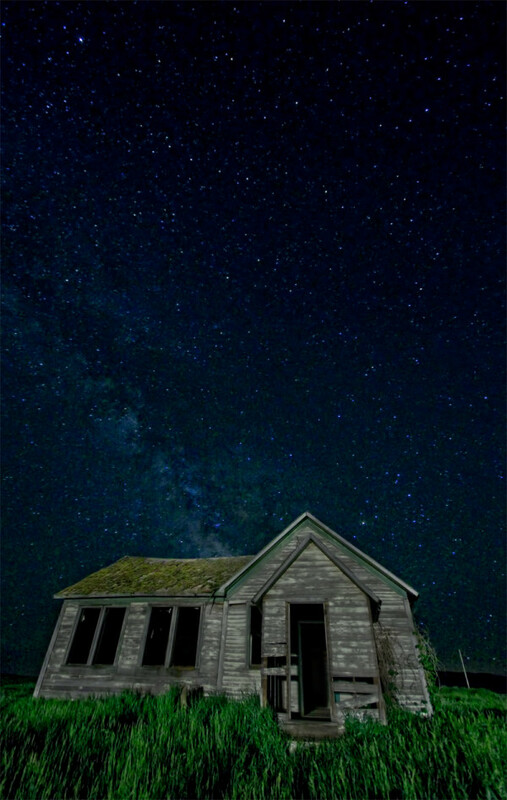 Even within the cities, stargazing is impressive on any clear night (thanks to light pollution ordinances and scant city smog). 9. There are volcanoes here. They haven't erupted in eons, but the scars remain. 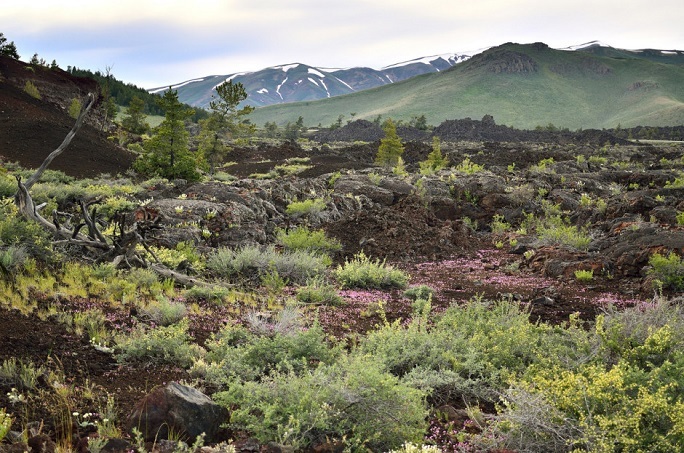 Home to cinder- and spatter-cone volcanoes and lava-tube caves, Craters of the Moon National Monument covers 618 square miles of lava fields in Southern Idaho. 10. There are still places where roads don't go. The Frank Church River of No Return Wilderness stretches over 2.4 million acres. And even though there are 2,600 miles of trails, over half of this wild landscape is accessible only by riverboat, small plane, or strenuous off-trail trekking with a Salmon River outfitter. Seen above is Birds of Prey National Conservation Area, another largely roadless patch of wild Idaho, despite sitting right on the outskirts of Boise. 11. Lake swimming beats ocean swimming. Some of Idaho's glacial lakes might be cold (popular Redfish Lake's average water temp is barely 60 degrees by July) but crystal-clear water, beaches fringed with pine trees, and snow-capped mountain peaks in the distance more than make up for the chill. Plus, you never have to worry about sharks or rip currents. 12. It's good to get away from it all. 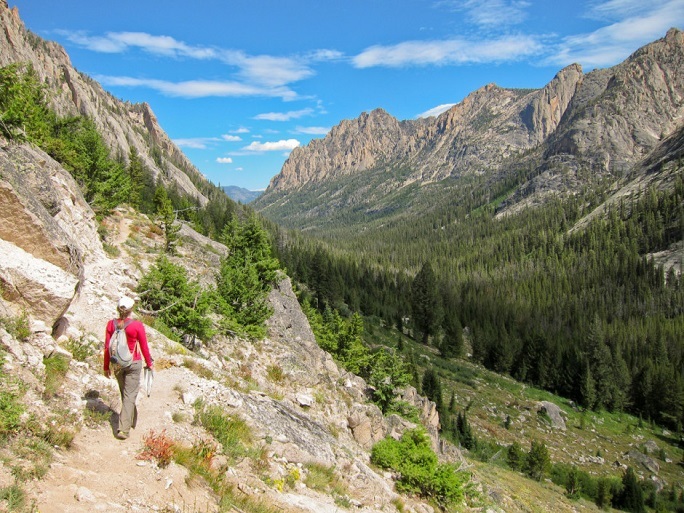 Backpacking all or part of Idaho's 1,200-mile Centennial Trail means no cell service or wifi, no power outlets or running water — you can truly unplug. As Albert Einstein said, "Look deep into nature, and then you will understand everything better." Idaho is a great place for it. 13. There's a Niagara of the West. Niagara Falls gets all the glory, but there's a taller waterfall this side of the Mississippi that's just as sweet. 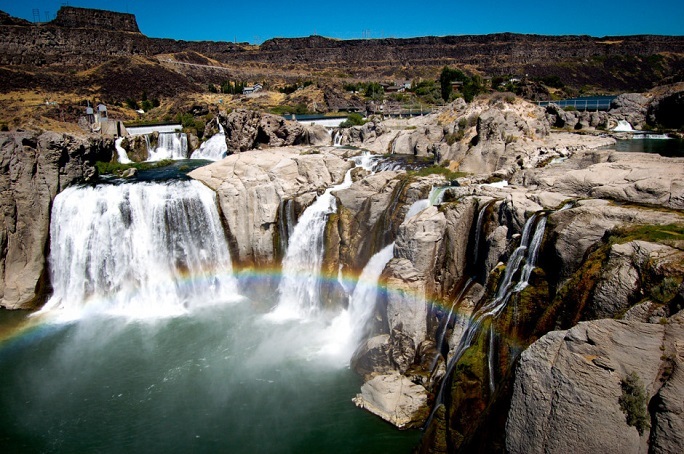 In the spring, Idaho's Shoshone Falls is a thing of glory, with water plummeting 212 feet over a smooth basalt wall into the Snake River Canyon. 14. No national parks, no problem. Some people think that without a national park, there's nothing to see here. Wrong. 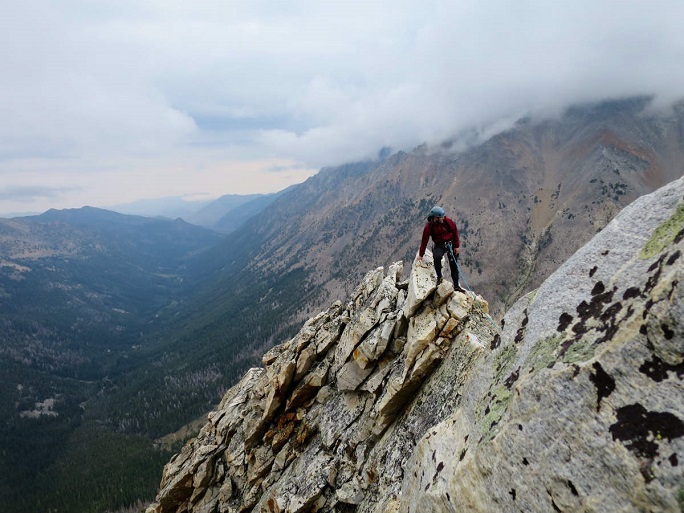 Equal in size to Yosemite, the nearly 800,000-acre Sawtooth National Recreation Area is arguably more wild and rugged than a park, precisely because it's not one. It's not crowded, it's not paved with parking lots. As the locals say, "It's the Tetons without the handrails." 15. There's more to life than work. Idahoans work hard (proven by the state's 3.8% unemployment rate), but they aren't caught up in the rat race. This isn't LA or NYC — there are ski hills and mountain bike trails within an hour of our city centers, and people take time to enjoy the beautiful outdoors in their backyard. Hopefully you will too when you're here. 16. Open range laws always apply. Outside city limits, Idaho cattle are free to roam and graze wherever they're not fenced out, including on the grassy shoulders around state highways. You hit it, you buy it. Hope you like beef! 17. Idahoans are proud of where they're from, and they're not itching to leave. 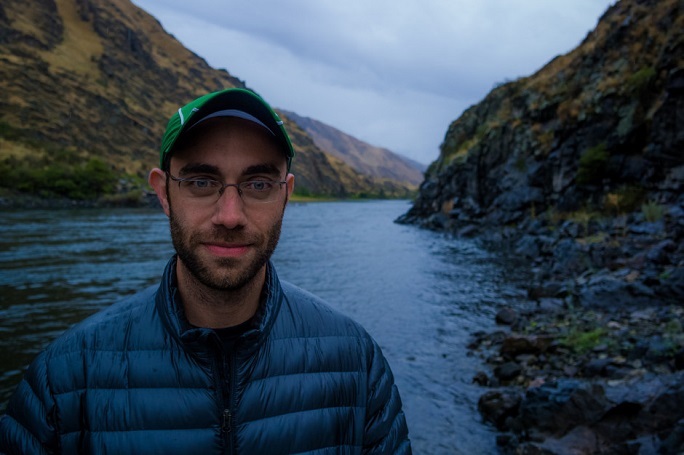 They know Idaho is underrated, and often phonetically confused with Iowa and Ohio, but they love it here, and they're not dying to move somewhere "better" or "more civilized." Even if Idahoans travel or move elsewhere, they know the Gem State equals fresh powder at Christmas and a lake for swimming in summer. It's mountains and rivers, it's home, and that's all that matters.